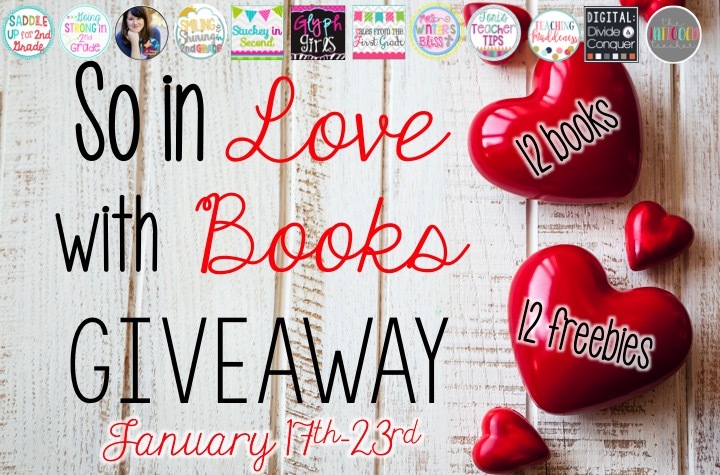 The Glyph Girls LOVE books and so do some of our favorite blogging buddies! We've come together to bring you this fabulous giveaway for Valentine's Day. 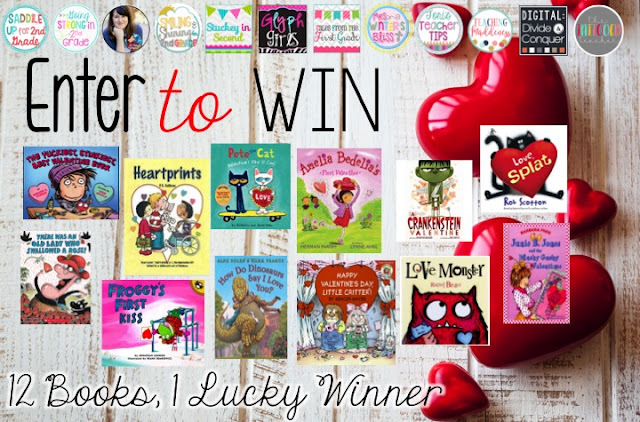 We have each chosen a Valentine book to blog about, AND we've created a FREEBIE to match our book, AND you can win ALL 12 of the books!!! Sweet! It's easy to enter. Blog Hop from one blog to the next collecting our Freebies. 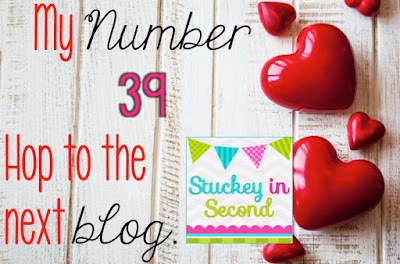 As you go, jot down the magic number from each blog. After you have visited all 12 blogs, add ALL of your numbers together. (Calculators are allowed!) Enter the total of all 12 numbers in the Rafflecopter for a chance to win all 12 books. You can earn bonus entries from following each of our TpT stores, as well! EVERYONE loves SPLAT the Cat!! Splat is a bundle of nerves! He is scared to give the Valentine to her. Then, he finds out Spike likes her, too! when you download our Freebie on TpT! for the week of January 17-23 only. together the numbers from each of the 12 blogs. Hop on over to our friend, Stuckey in Second, next. Awesome! 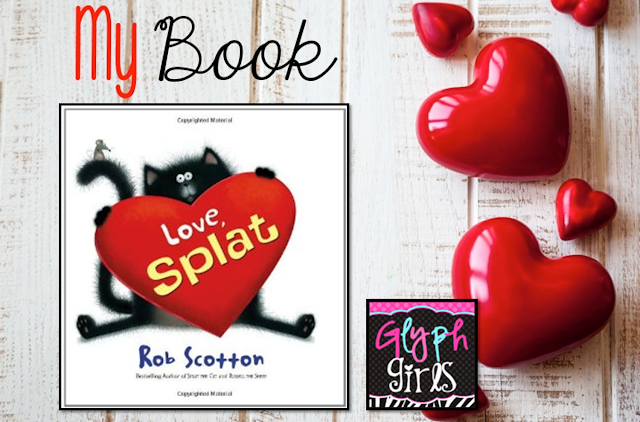 Who doesn't love Splat?! My kids will have a blast thanks to your glyph. Thank you so much! I can't wait to make Splat with my students! Thank you for the adorable project. 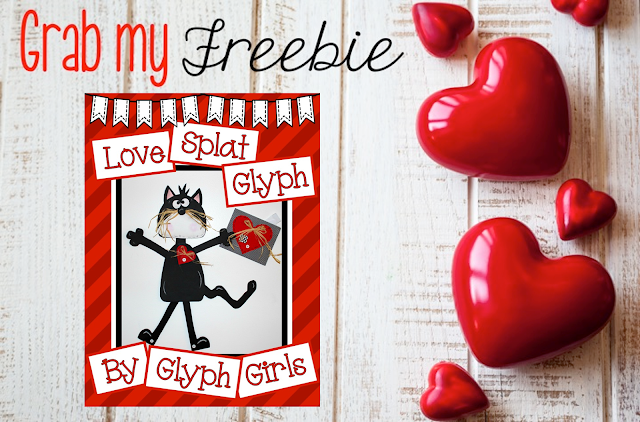 Love the Glyph Girls and thanks for the freebie!!! !